An ongoing string of high-profile and very public murder-suicides has San Francisco even more rattled than a string of recent earthquakes: A flamboyant fashion designer burns to death, clutching the body of his murdered lover. A superstar 49er jumps off the Golden Gate Bridge. And most shocking of all, a U.S. attorney launches her BMW off a highway overpass, killing herself and three others. Sarah Keller is a single mother to five-year-old Zoe, living quietly in Oklahoma. She’s also a skip tracer, an expert in tracking people who’ve gone on the lam to avoid arrest, prosecution, or debt - pinpointing their location to bring them to justice. When a school bus accident sends Zoe to the ER, their quiet life explodes. Zoe’s medical tests reveal what Sarah has been hiding: Zoe is not her daughter. Zoe’s biological mother - Sarah’s sister, Beth - was murdered shortly after the child’s birth. And Zoe’s father is missing and presumed dead. 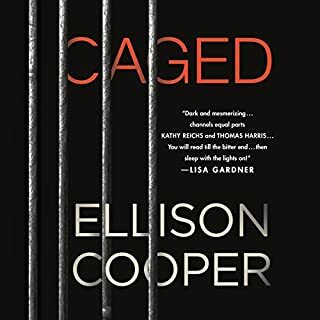 A riveting psychological thriller inspired by the never-caught Zodiac Killer, about a young detective determined to apprehend the serial murderer who destroyed her family and terrorized a city 20 years earlier. Caitlin Hendrix has been a narcotics detective for six months when the killer at the heart of all her childhood nightmares reemerges: the Prophet. An UNSUB - what the FBI calls an unknown subject - the Prophet terrorized the Bay Area in the 1990s and nearly destroyed her father, the lead investigator on the case. The Prophet's cryptic messages and mind games drove Detective Mack Hendrix to the brink of madness, and Mack's failure to solve the series of ritualized murders - 11 seemingly unconnected victims left with the ancient sign for Mercury etched into their flesh - was the final nail in the coffin for a once promising career. Twenty years later, two bodies are found bearing the haunting signature of the Prophet. Caitlin Hendrix has never escaped the shadow of her father's failure to protect their city. But now the ruthless madman is killing again and has set his sights on her, threatening to undermine the fragile barrier she rigidly maintains, for her own protection, between relentless pursuit and dangerous obsession. 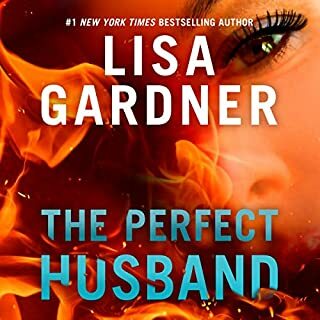 Determined to decipher the Prophet's twisted messages and stop the carnage, Caitlin ignores her father's warnings as she draws closer to the killer with each new gruesome murder. Is it a copycat, or can this really be the same Prophet who haunted her childhood? Will Caitlin avoid repeating her father's mistakes and redeem her family name, or will chasing the Prophet drag her and everyone she loves into the depths of the abyss? 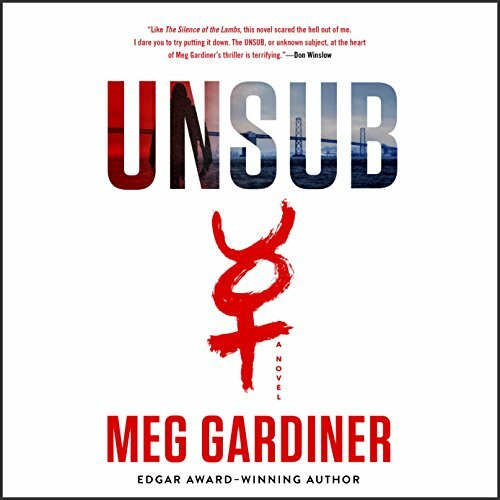 What made the experience of listening to UNSUB the most enjoyable? It was nice to be able to listen while doing other tasks. I really liked the story and would not have had the time to read the book. Yes. I can usually figure out who the bad guy is. With this story however, I did not. What three words best describe Hillary Huber’s performance? Irritating, distracting, eye-rolling. I did not like this narrator. 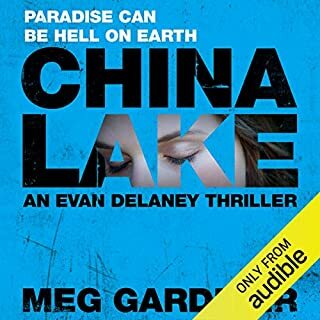 I have not listened to very many audio books yet, so I may be way off and others may like her. I just found her character voices often distracting. It would sometimes pull me out of the book and get me thinking about her voice rather than the story. Great story. I really enjoyed it. I think this would make a good movie. I'd pay to see it. This book really caught me by surprise. I started it at 7:30 AM, and I finished the book the same day. It is a great crime novel based somewhat on the Zodiac killer, and it is NON-STOP goodness. It has a little bit of everything, and it will keep you on your toes. Not to mention, the ending is a complete SHOCK! The narrator is fantastic. Don't waste another minute; get this book! Very good, finished and purchased follow up. I really like the using a true case but making it modern, similar to what law and order svu and criminal minds do. Unsub was a wild ride! this was a book that lived on my wishlist for a long time, I'm disappointed It took me this long to listen. 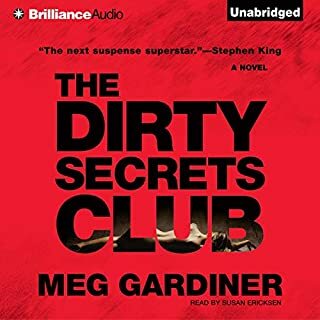 I usually love Meg gardener, but I couldn’t get into this one. It’s actually the first book of hers I didn’t finish. I stopped with like 5hours left. Not sure why, it just didn’t seem unique at all. 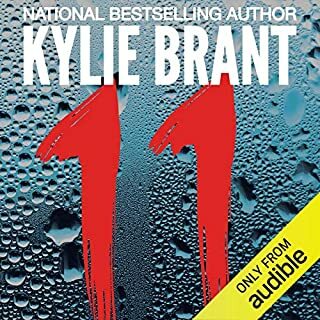 If you live police procedurals you should definitely try it out, or try some of her other books, as they are fantastic! I heard a very positive review of this book on NPR and looked forward to listening to this. Was I ever disappointed. It was easy to anticipate the story line (except for the very last few seconds), the characters lacked credibility and judgment, defied common sense, etc. etc. And to top it off, the perverse details of the killer seemed to be where the author invested the most time but once again, was not believable. And the narrator - well, she is better suited to books needing a maternal voice. great addition to any suspense lover's library! I loved this book! I could not turn my audible off. the story and the pace if the narrator are a perfect match. this is a MUST read if you like suspenseful detective novels. I'm excited to get into book 2!! So good, finished in under a week! Excellent crime suspense thriller and can't wait to read the next installment, Into Black Nowhere. I took off one star because the cliffhanger from this novel isn't resolved nor mentioned in the next; mentioned maybe, but not explored further. Sigh. 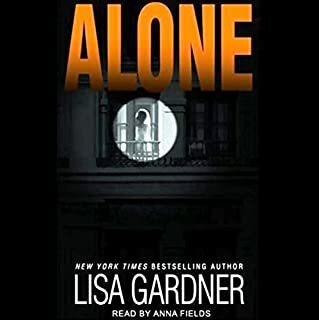 This was my first time listening to a crime thriller narrated by a woman, and I found it a little more difficult to relate to than I probably would have found it to be with a male narrator. I’m 49 years old and have seen a handful of films similar to this novel. I would have been more enthralled by UNSUB if I were younger and hadn’t seen so many similar narratives.